In Conquest and the Law in Swedish Livonia (ca. 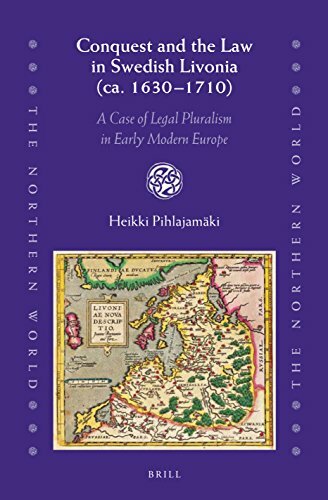 1630-1710), Heikki Pihlajamäki offers an exciting account of the law in seventeenth-century Livonia, conquered by Sweden. The volume demonstrates how the differences in legal cultures affected the Livonian judiciary and legal procedure in the region. Heikki Pihlajamäki is Professor of Comparative Legal History at the University of Helsinki. He has published extensively on the legal history of Scandinavia, Europe and America. His research covers a broad time-span from the early modern period to the twentieth century.